Quoting Ngang Buling, Save Rivers Network, a coalition of NGOs said the police are likely to hold him for four days. According to Save Rivers the arrest caused a tense situation at the blockade situation when 30 police officers confronted 300 protestors who offered themselves for arrest. The blockades were triggered by the “unannounced” impoundment of the Murum Dam by the main contractors Sarawak Energy Berhad (SEB). 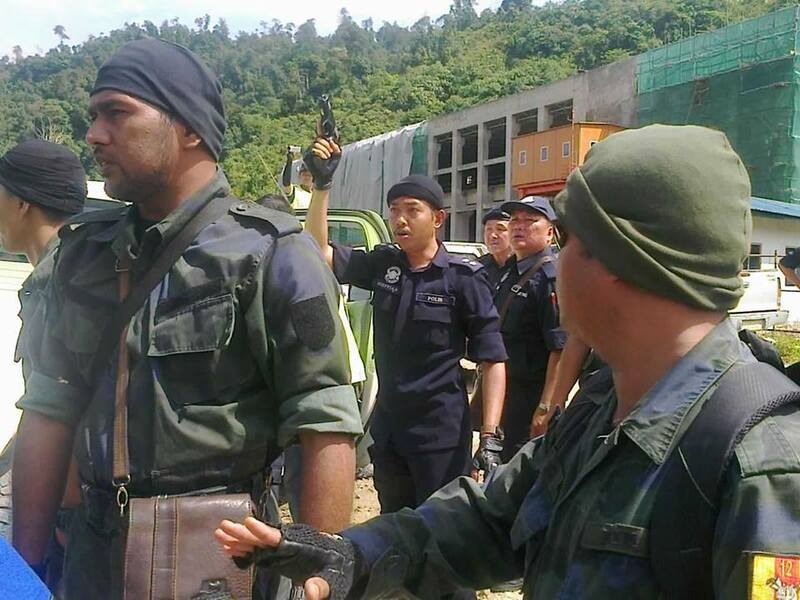 The impoundment had caught off guard the Penan and Kenyah communities in six villages who were still in the midst of negotiations for compensations. The Penans are demanding that SEB close the flood gates. It is expected that the six villages, home to an estimated 1,500 people, will be flooded within 12 months at the current rate. Earlier this week SEB chief executive officer Torstein Dale Sjotveit was reportedly chased away from the site after he yelled at the Penan delegation who refused to accept the resettlement terms offered by SEB and the Sarawak government. As collective punishment the Penan delegation, who had been brought by car to the SEB meeting near the dam, were left to a long walk back to their respective villages. An angry Sjotveit had reportedly also yelled at police officers present at the dam site whom he called ‘cowards’. Meanwhile Swiss-based Bruno Manser Fund in an immediate reaction called for the Ngang Buling’s immediate release. “We ask Prime Minister Najib Tun Razak to intervene with the Sarawak state government and to halt the Murum Dam impoundment until a decent solution to the resettlement has been found,” it said in a statement issued today. Now we know that foreigner Torstein, SEB,taib and his bn representatives lied when they say the Penans accepted the building of the Damned dam and agreed to be resettled. They should be the ones arrested for misleading the public and endangering the lives of the penans. They should be charge in court for forcibly taking away lands and destroying properties of the penans. Infact the foreigner ceo should be the one arrested and deported for disturbing the peace in murum just like what they did to the now missing Bruno Manser! The Victims of reckless development which was meant to enrich the thief minister’s companies must stand tall and fight for their rights. Defend your land and rights with your life and do not hesitate to kill if you have to.